we trust the doctors ,to diagnose our illness , and trust him to prescribe the suitable medication . But don’t trust God to heal us. The medicine may take a week or more before we see any results , yet we can’t wait a day ,or a second , on God to heal us. We work a week or more ,trusting that the boss, or owner will pay us,yet we don’t trust God,and His word. Then you have the audacity to question God,and His plans for us,when you don’t even trust Him enough to stand on His word,which is year ,and Amen. 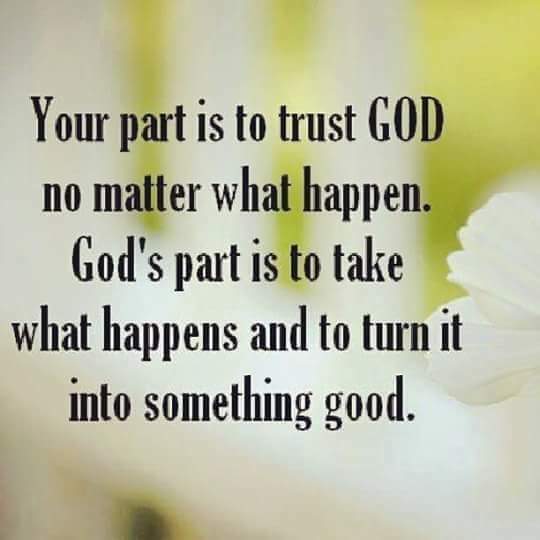 Why is so easy to trust people , and hard to trust God? Is it unbelief,lack of faith , or both? “Trust in the Lord with all your heart, And lean not on your own understanding; In all your ways acknowledge Him, And He shall direct your paths”. (Proverbs 3:5‭-‬6). “Some trust in chariots, and some in horses; But we will remember the name of the Lord our God”. (Psalms 20:7 NKJV). “He who is of a proud heart stirs up strife, But he who trusts in the Lord will be prospered. He who trusts in his own heart is a fool, But whoever walks wisely will be delivered”. (Proverbs 28:25‭-‬26 NKJV).